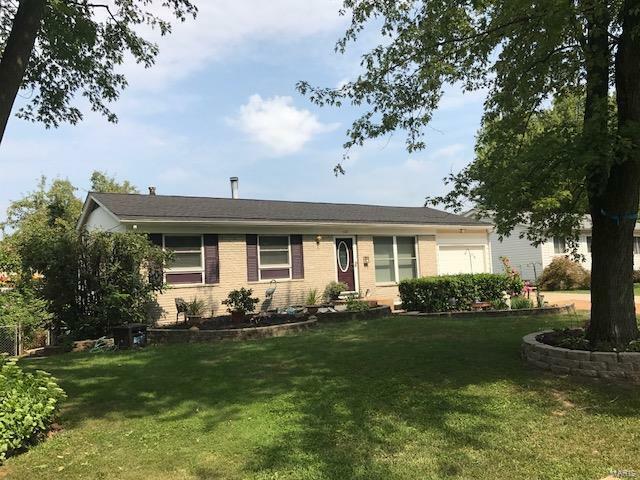 Looking for a 4 bedroom Ranch in the Hazelwood West School District? Tons of curb appeal, front lawn has been landscaped with small pond & active fountain. Spacious, fenced in, wooded back yard which backs to a large pond on common ground. Rear of home has a covered, screened in deck off of the Hearth room and a covered lower, screened in porch for all of your entertaining. Includes an outdoor shed for all of your yard tools. Kitchen has been newly remodeled with beautiful self closing cabinets, glass tile back splash, newer gas oven /range, dishwasher, microwave and wine cabinet. Hearth room off the kitchen has a full masonry fireplace, vaulted ceiling, sky light and french doors leading to covered deck. Fourth bedroom next to Hearth room could be Master Bed room or Dining room. Living room has a fireplace & lg window also. Full, walk out basement in lower level with finished rec room including stand alone fireplace and bonus room . LL has loads of storage areas. New ROOF 8/17. From Hwy 270 go North on Missouri Bottom Rd. Turn right onto Ville Maria and then turn left on Ville Cecelia. OR From Dunn Rd, turn on to Ville Cecelia and home will be on the left. 5331 Ville Cecelia Lane.